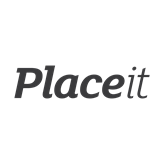 An experienced Ruby on Rails End Engineer to join the Placeit team. What would I work on specifically? You would be working on the backend component of new features from start to finish which would include everything from early prototypes to getting the production server ready to checking for security concerns. Your name, your GitHub username (if you have any public repos), resume or CV, why you would want to work here, any other information you think will be useful for us to know. Want to get notified about new jobs at Placeit?